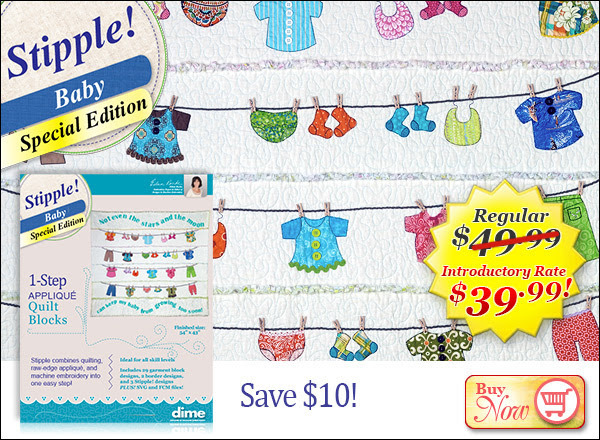 Combine quilting, appliqué & machine embroidery in one Stipple! Stipple! Baby is the newest arrival to the family of Stipple products. Stipple! 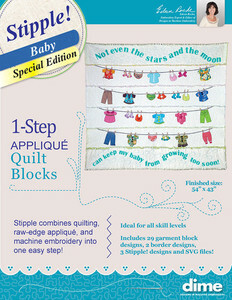 Baby is the newest arrival to the family of Stipple products. This easy rag strip-quilt goes together fast! 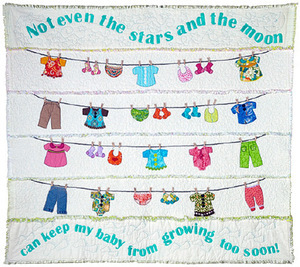 Mix and match garments on the clotheslines or pick your favorites to adorn the entire quilt. Click image below to watch video demo! 20 Quilt Blocks of Garments with Stipple! One Top Border 5 Designs. One Bottom Border 5 Designs. 10 Garments and 3 Stipple-only Designs. 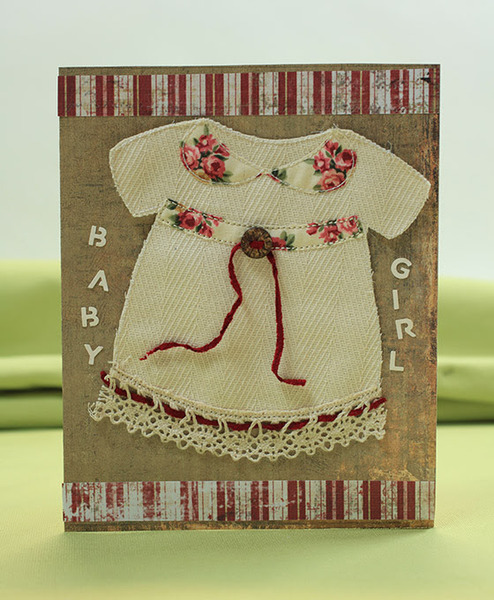 Add Fabric, Clothespin accesories and embellishments not included. 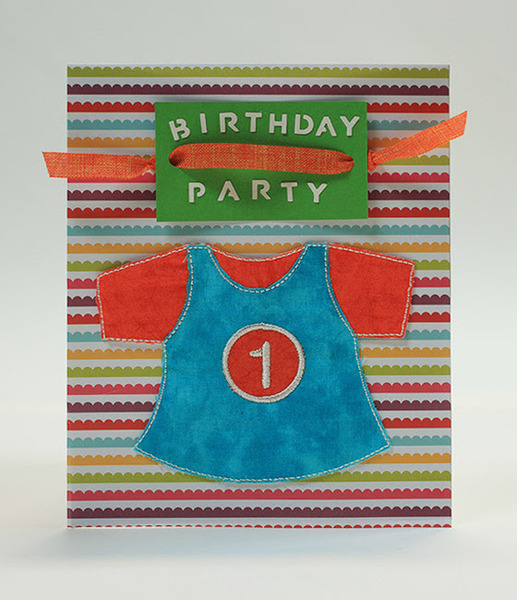 Add color to top adn bottom borders with fabric markers. 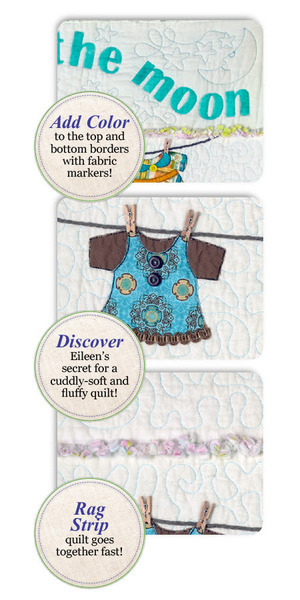 Discover Eileen's secret for a cuddly-soft and fluffy quilt! Rag Strip quilt goes together fast! 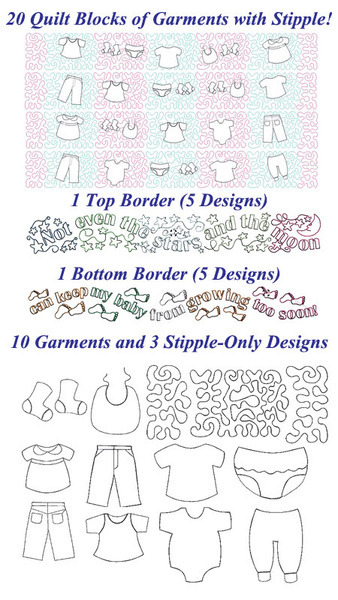 Use your built-in lettering features on your embroidery machine to add letters and numbers to the embroidered garments. Exercise good judgment! Small parts aren't intended for babies. Omit small parts if the quilt will be given to baby.